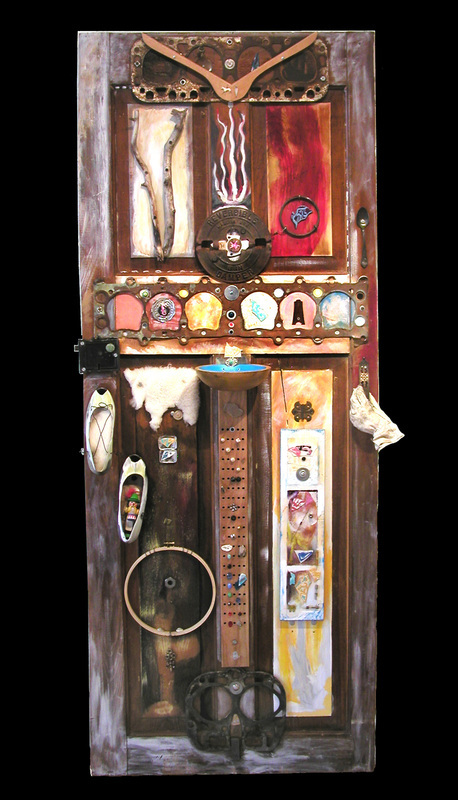 Time After Time, mixed media, 42" x 13" x 4 3/4"
What Holds This Together, mixed media, 18" x 6"
Reinventing the Past, mixed media, 38" x 12"
Digging Deeper, mixed media assemblage, 24" x 18"
Retaining Optimism, mixed media, 33" x 17"
Replacement Parts assemblage for Altitude Auto, mixed media, 18" x 12". 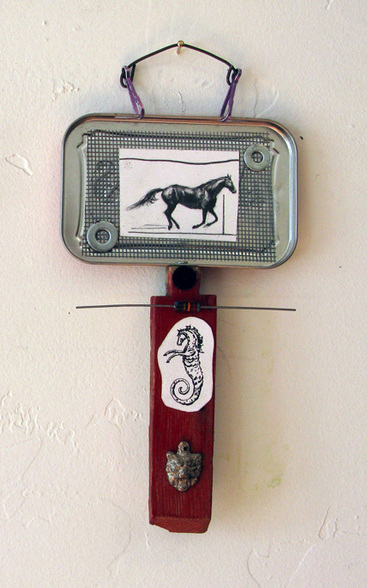 Twists of Fate, mixed media, 18" x 12"
Horse for Ceil, mixed media, 12" x 16". 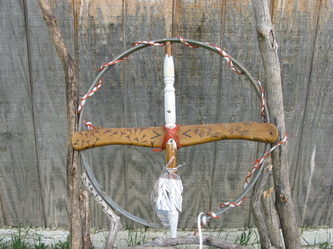 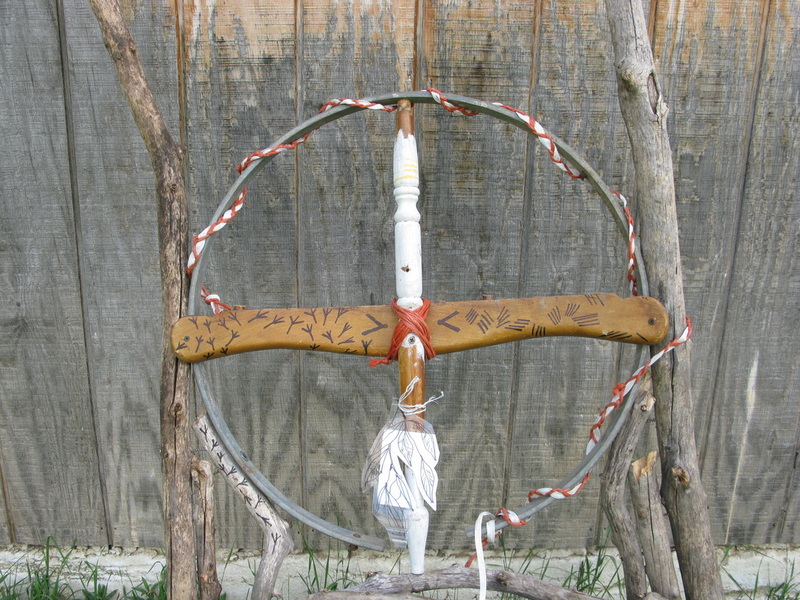 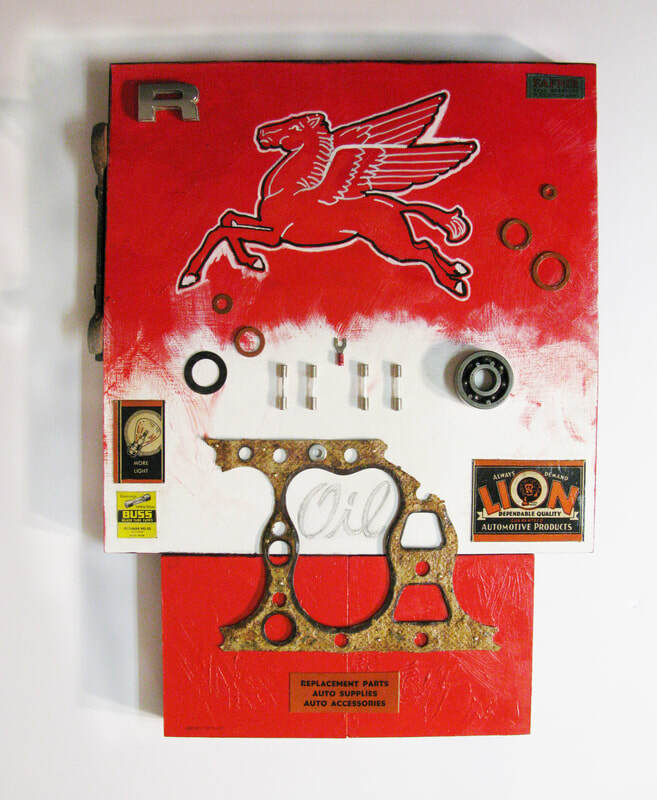 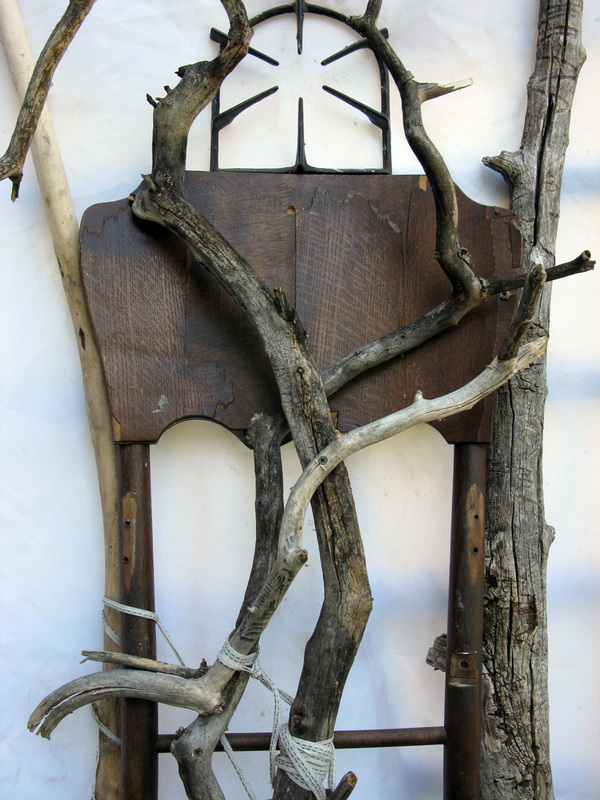 Onward, assemblage , 30" x 84". 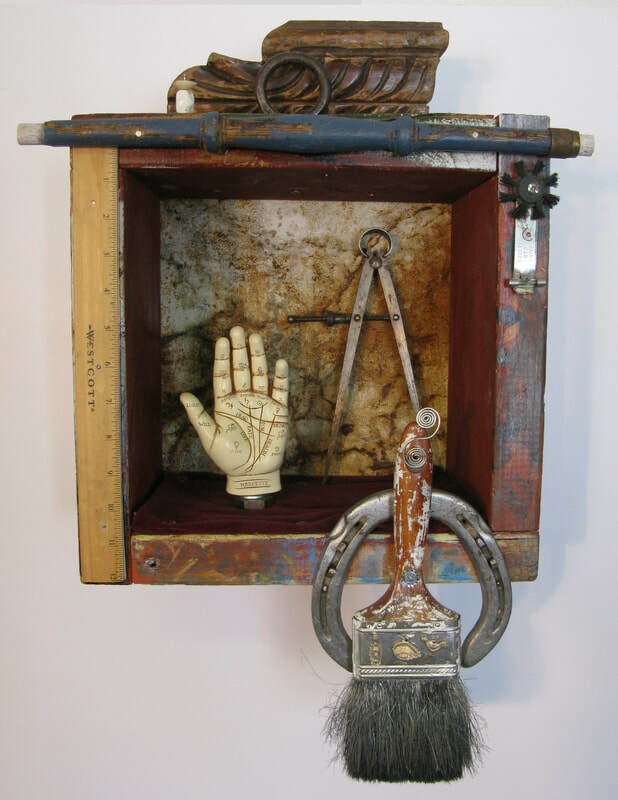 What Remains To Be Seen, mixed media assemblage, 32" x 24"
Found objects in my studio, waiting to become parts of sculptures. 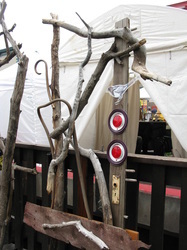 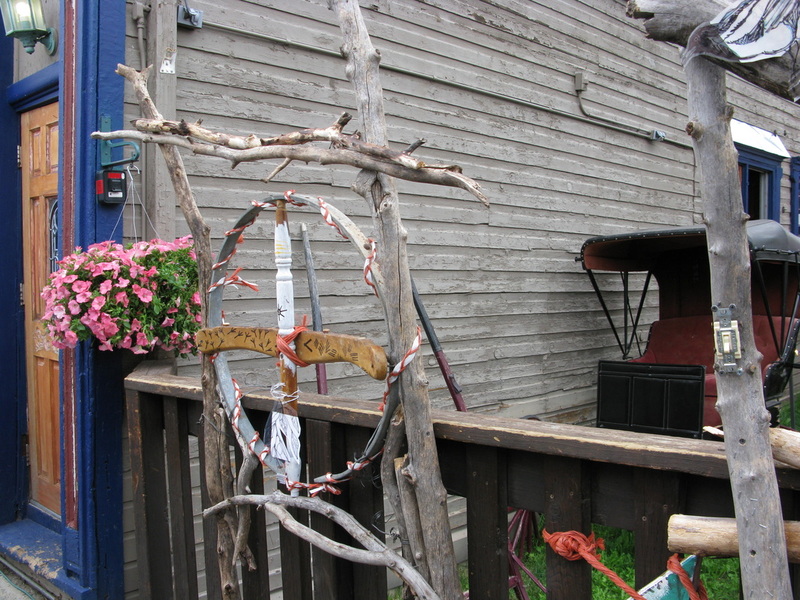 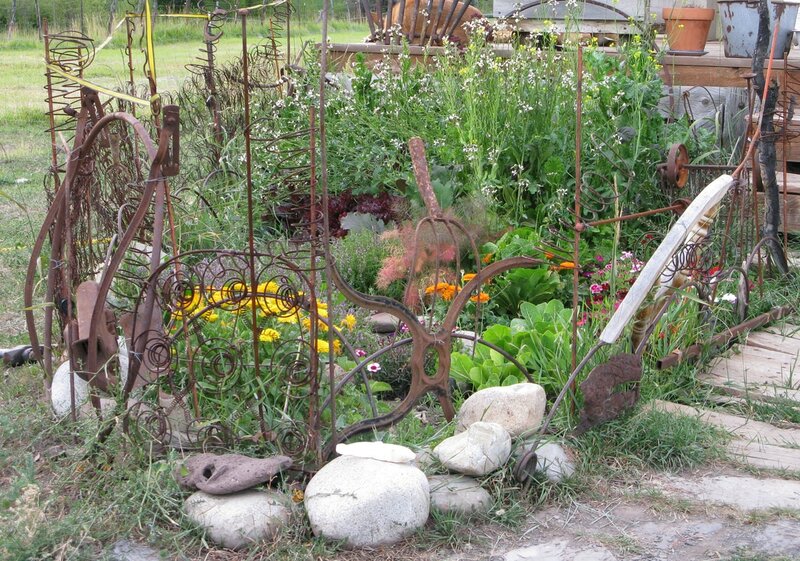 My found object garden fence, made from rusted ranching implements, machinery and a wood burning kitchen stove. 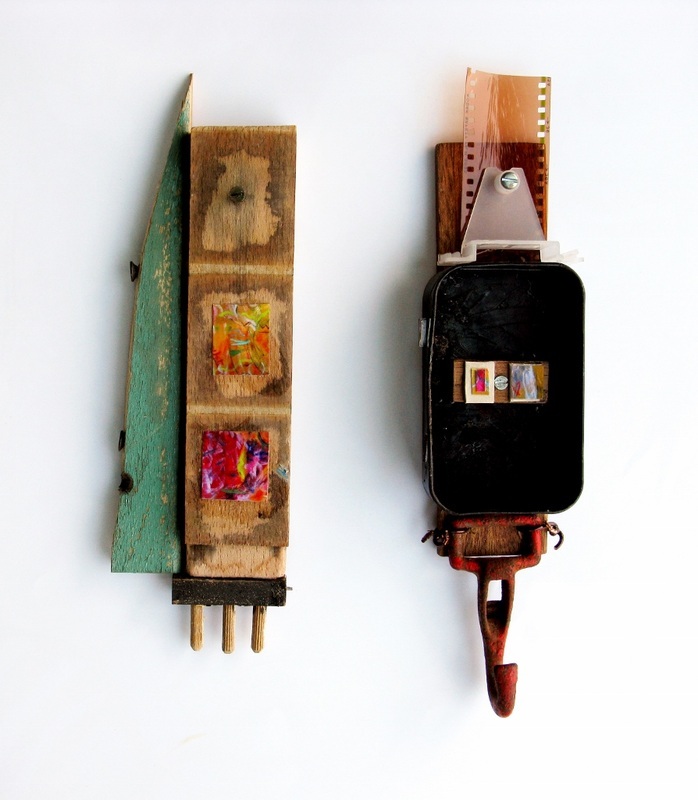 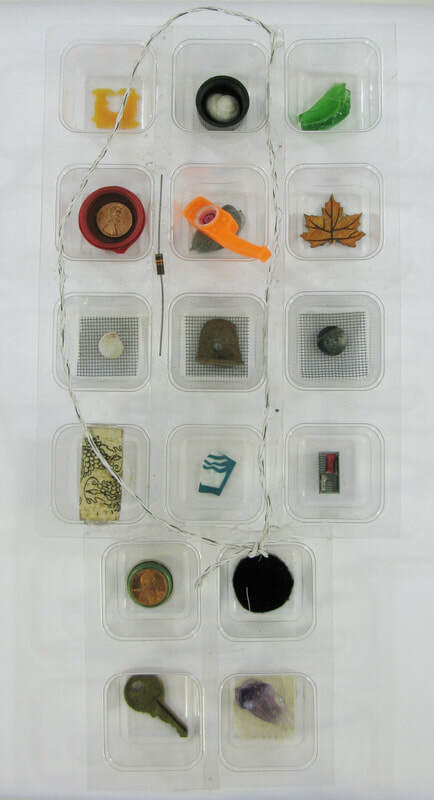 Here are some tiny assemblages from a series that I've been making from a variety of objects, found and altered, including chair parts, printed portions of my drawings and paintings, Altoid boxes, scraps of screening and more. 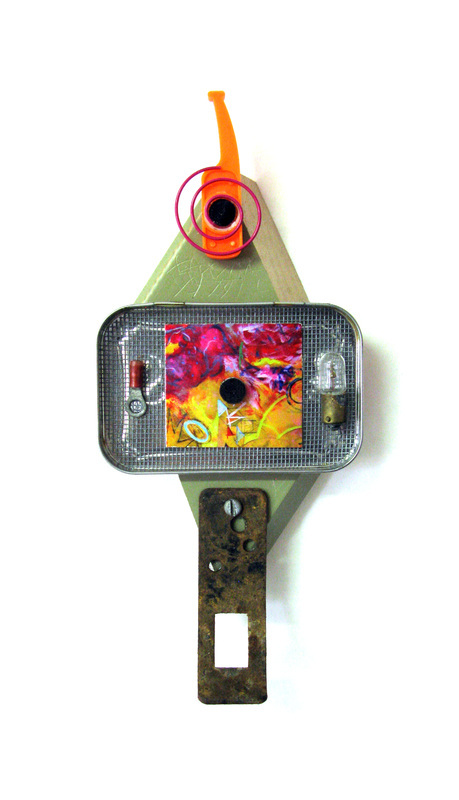 I often reuse screws, nails and wire for fastening pieces together. 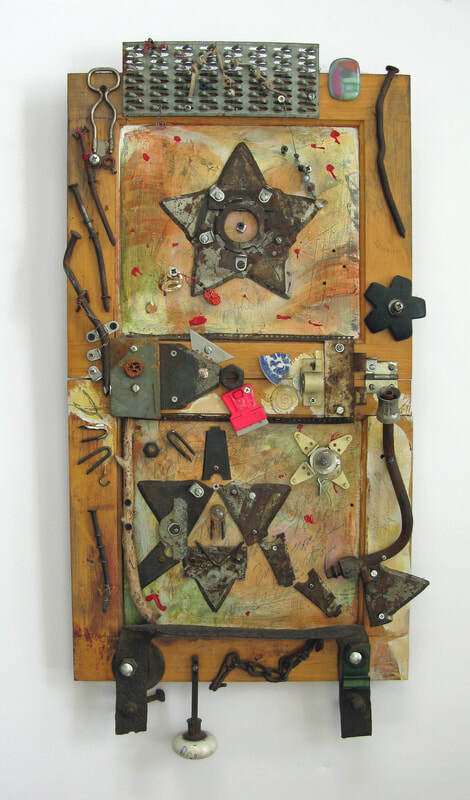 assemblages, 9" x 2 3/4" and 9 3/4" x 2 1/2"
tiny assemblage #13, 2" x 7". 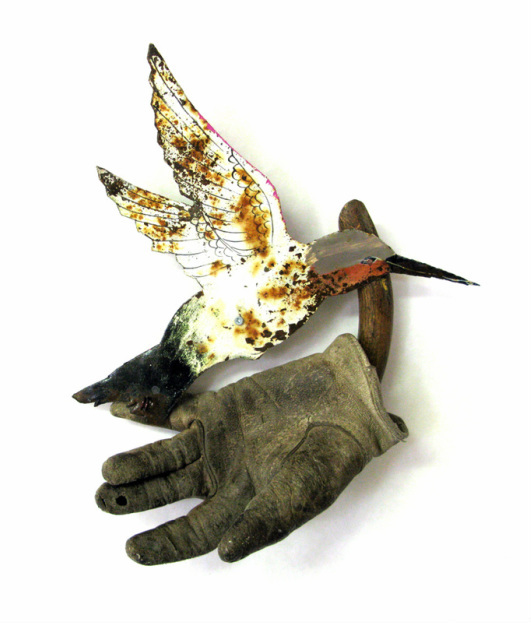 tiny assemblage, found objects, 6" x 4"
tiny assemblage, 8" x 4"
tiny assemblage, 8" x 2"
Release, found object assemblage, 12" x 9"
A Faery Find, mixed media, 14" x 28"
Magpie, permanent marker on recycled plastic. 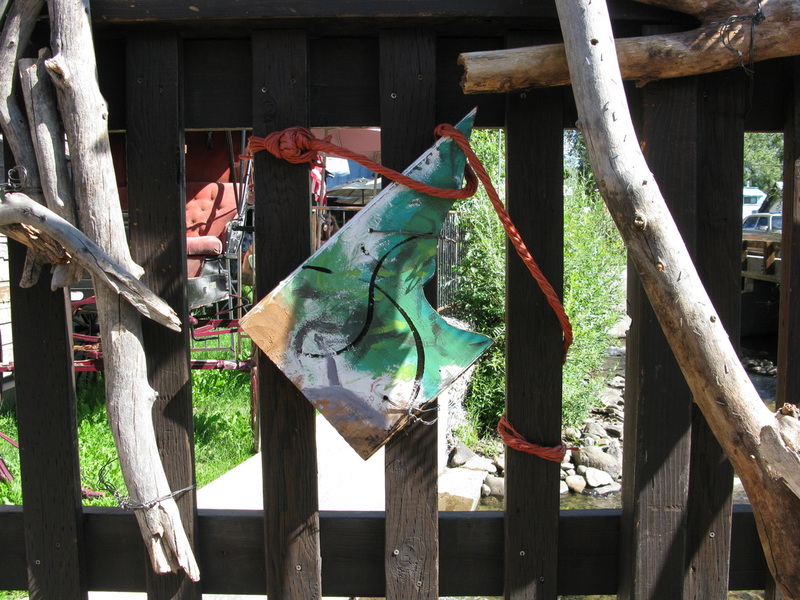 The following photos are from the Bridges Installation, Crested Butte Festival of the Arts, 2012, co-sponsored by the Coal Creek Watershed Coalition. 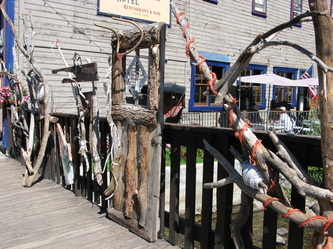 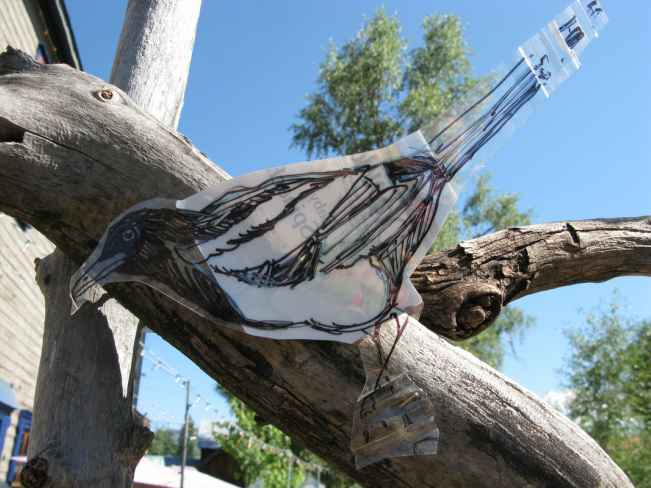 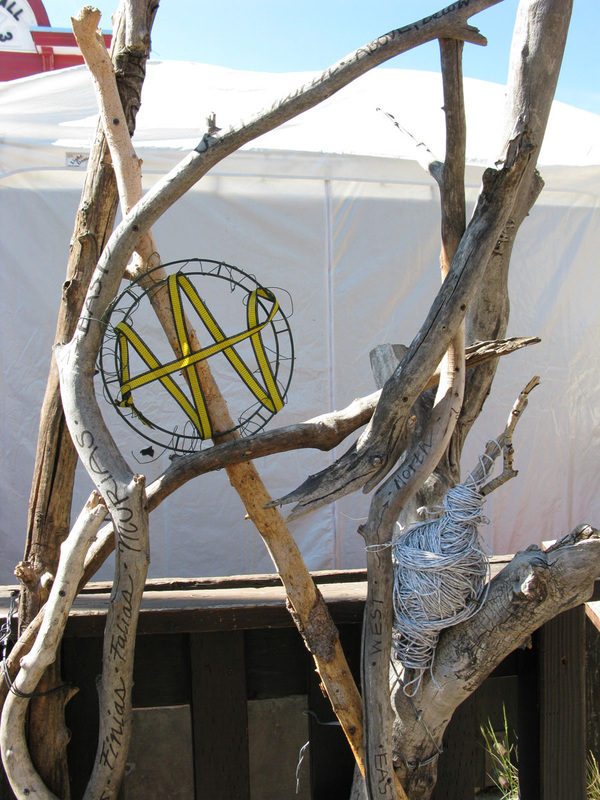 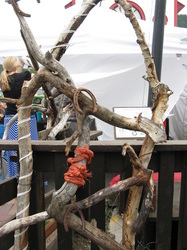 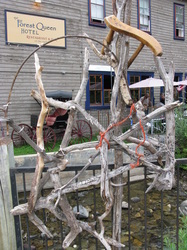 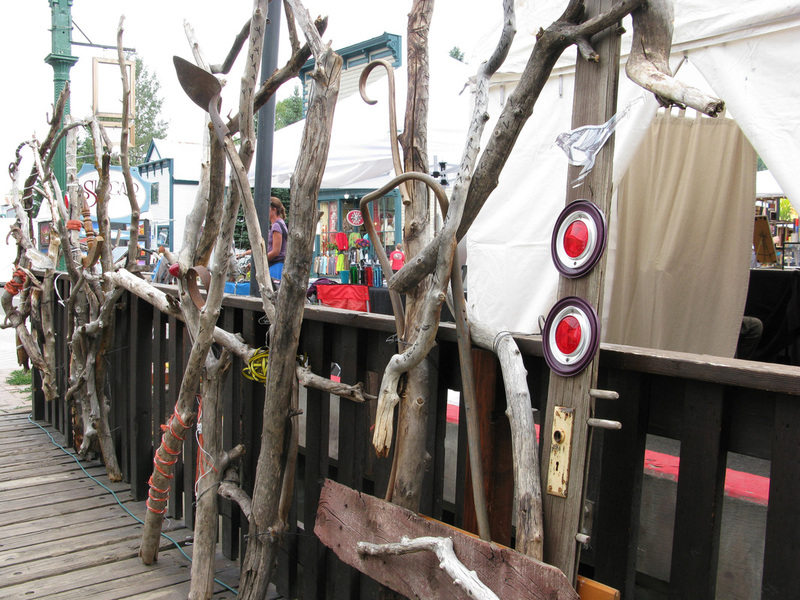 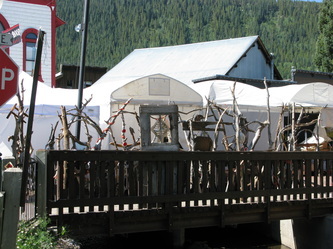 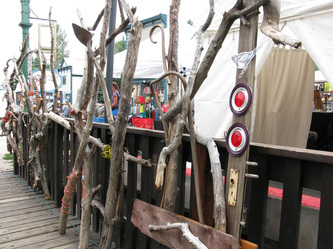 Portion of Bridges installation, Crested Butte Festival of the Arts, 2012.